Writing website copy that’s compelling, thought provoking, or maybe even funny, can be difficult. Many marketers are focused on generating viral shares and the kind of popularity that makes their brand easily recognizable. But how about writing copy that actually gets conversions? Read on to learn how to write copy for your website that will help you get more email sign-ups, account registrations, sales, and more. If there’s one thing we know for sure, it’s that if you aren’t clear about what you want the customer to do, then there’s little hope for getting them to convert. 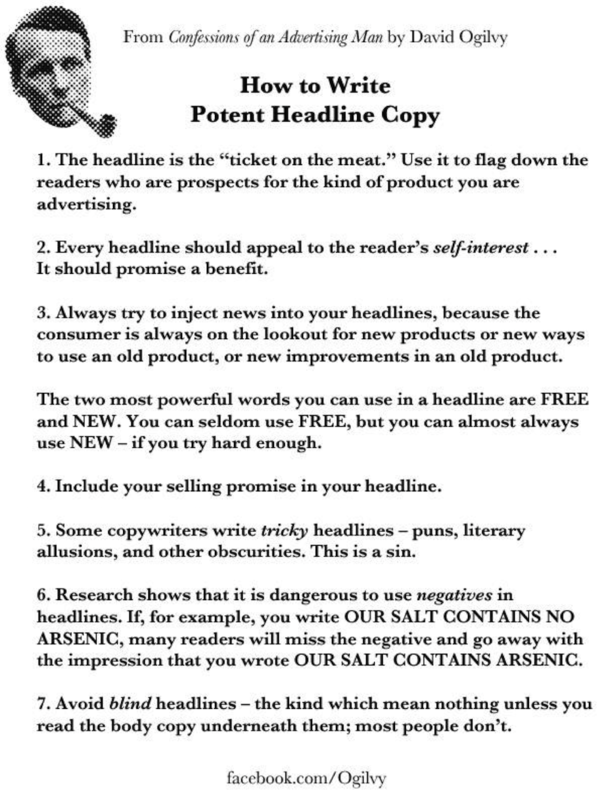 Before you can start writing copy, you must decide what you want each particular piece of copy to accomplish. Taking this first step will make all the other tips come much easier. You need to understand who exactly you’re addressing. Why is that important? It helps you learn what kind of cultural references they’ll understand and the types of content that interest your site visitors. Simply put, don’t talk about The Walking Dead to My Little Pony fans. Instead, make sure your content makes sense to your visitors. When your content holds your visitors’ interest, they’ll be more likely to keep reading all the way to the end, and even share it with their friends. Better understanding your audience will help you more easily cultivate your visitors for conversions. How do you get to know your audience? Quantcast is a service that can help you learn more about your website’s visitors, for example, what demographics are coming to your website. AddThis also offers its own audience targeting capabilities based on factors such as referral source, type of device, geographic location, interests, and more. There’s an old sales adage that says, “A confused mind always says ‘No.’” According to Moz, newsletter headlines with the fewest number of words have the highest click-through rates. Information-rich and intelligent copy is a must. If you’re going to the trouble of writing something for your customer, make it worth their time. Teach them something they don’t know. Give them something to think about, an offer they can’t refuse, or an action to take that will improve their website or their business. If some of your users are newbies, and others are more advanced, it might make sense to develop multiple conversion funnels; that way you won’t frustrate the beginners or bore your more educated users. Cute or serious? As we stated previously, smart content is a given. The question here is about your brand’s voice. Set the tone for your copy based on your own brand values and who you are trying to attract. For example, beginning in 2005 with CareerBuilder’s prevalent Super Bowl campaign featuring monkeys, the job search engine has a history of using humor to relate to Americans who are dissatisfied with their current employment situations in an effort to inspire them to search for new jobs. In the below advertisement, Career Builder adds some levity to a serious situation with their light-hearted take on the job search process. The best way to coax a conversion–especially a share–is to prime your audience by getting them to feel an intended emotion, whether it’s excitement, happiness, surprise, or intrigue. A study done at University of Pennsylvania discovered a strong link between emotions evoked and content shared from the NYTimes.com, with a high correlation between positive content and viral shares (versus negative content, which had a lower rate of shares.) Interesting and practically useful content is also positively linked to the number of viral shares. Sad content tends to be less viral. Storytelling is a great way to evoke emotion and to convey information. Think of the fables you read as a child…nothing makes a point memorable like tying it to a narrative! One great narrative device is to share a story about what you’ve learned. 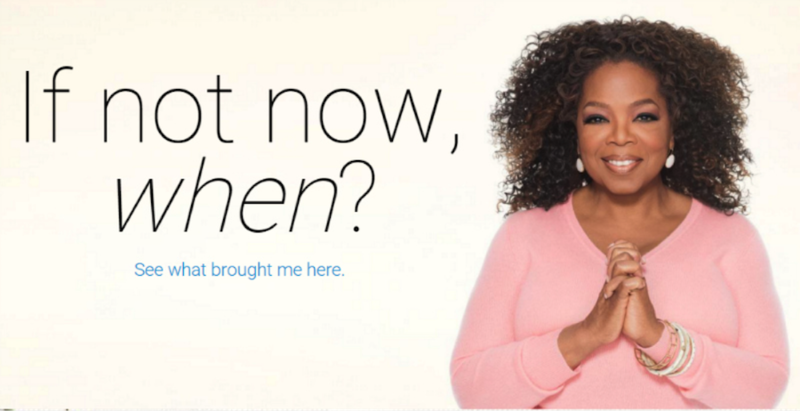 For example, Oprah Winfrey shares her story of weight loss success with visitors to the Weight Watchers website. A bonus? Showing her human side makes Oprah more relatable, which has helped her build loyalty and trust, making her incredibly influential among her followers. A common mistake when writing marketing copy is to talk about the features of a product—rather than the benefits. For example, if you’re trying to sell someone a coconut, do you talk about its features—its hard shell and white meat—or its benefits as a delicious, nutritious, culinary wonder? Unfortunately, many of us marketers get caught up in trying to explain what a product is and how it works rather than focusing on the good that it does for the customer. It’s much easier to sell someone on a product when they can quickly see why they should care, or how it’s going to benefit them. 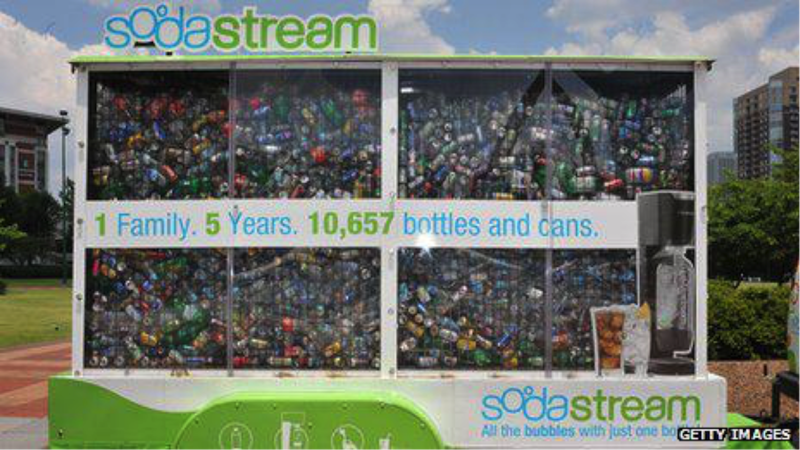 For example, Sodastream touts their reusable bottles by showing exactly how many bottles and cans a family can save in five years by using their product. The resulting visual is powerful, especially for the ecologically aware. The words of the ad convey the vital information, but it’s the photo that paints the indelible image. Before pulling out their wallets, many customers need social proof, whether that’s in the form of testimonials, media coverage, or product reviews. In fact, according to Buffer, shoppers trust reviews 12 times more than the product description written by the company. Another way to get social proof in order to increase conversions is by getting likes, follows, and shares on social media. When users share your content, it shows they trust you–and by putting your content in front of their friends, it helps broaden the trust bestowed upon your brand. When it comes to writing copy that converts, don’t be afraid to write about viral successes on social media you’ve had, an endorsement your product got by a celebrity, or to spotlight a fantastic review left by a customer. That way you aren’t bragging–you’re just pointing out that people like your brand or product, which could convince even more people to buy from you. People procrastinate. That’s just a reality. So if potential buyers know they can always get your product whenever they feel like it, and the price is never going to change, and you’re never going to run out, then they can feel comfortable putting off their purchase indefinitely. Sometimes you need to light a fire under people to get them to take action. Here is where your call to action (CTA) comes in. 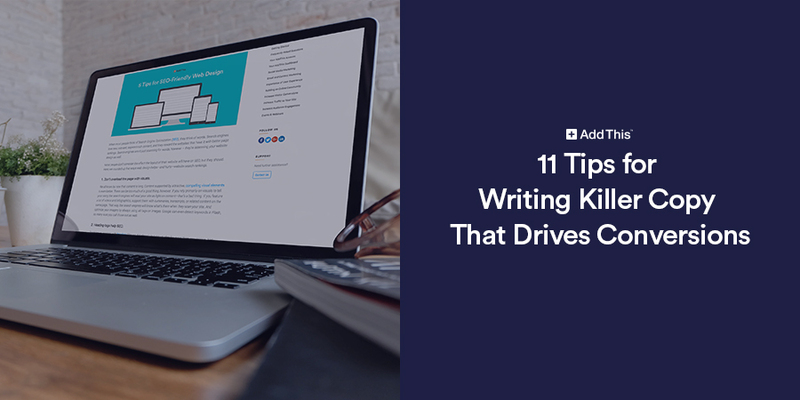 If you want to write copy that drives conversions, then you need give people a reason to buy. This reason might come in the form of a flash sale where customers need to act fast in order to get a good price. Perhaps your service has an enrollment period or an availability window only a few times per year so that if customers don’t buy now, they’ll miss out. When your resource or product appears scarce, it becomes more desirable in the eyes of the customer. Write your copy to reflect this urgency, and call your customers to act accordingly. Your CTA should drive immediate sales—not “someday” sales. That’s why the word “now”–such as “Buy Now!” or “Sign up Now”–is so popular in CTAs. You can also urge people to sign up “before the offer ends” or “get it today!” The idea is to spark immediate action. Blogging.org uses a great example of the scarcity tactic. 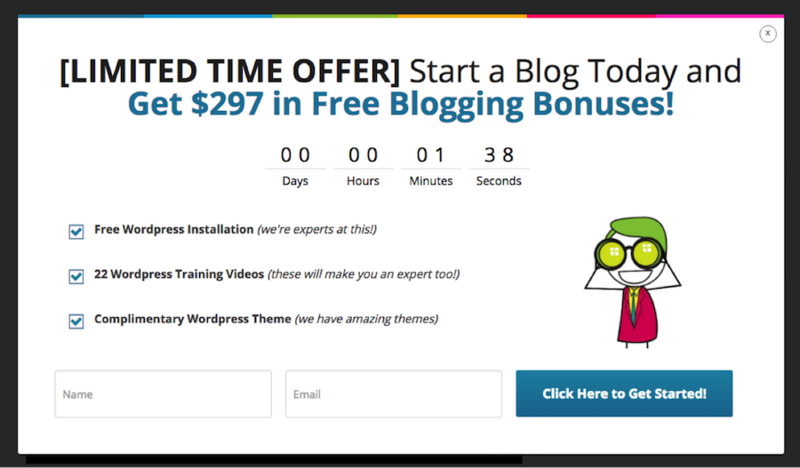 Their CTA sets a ticking timer on their blog offer, plus offers substantial bonuses for starting right now. Both tactics create an impending sense of urgency. Your copywriting strategy wouldn’t be complete without A/B testing. When you create marketing pages that are evergreen, you need to make sure they’ll perform the best they can by testing what drives the most conversions. Test the copy you would normally use (A) against a variation of that copy (B). Monitor the results of the test, and find out which copy performs better. You can continue to tweak and test, tweak and test to improve your copy on an ongoing basis. This should drive conversions up over time and provide insights into what gets a response from your visitors. So, when it comes to writing copy that drives conversions, the better you know your audience, the more easily you’ll be able to write copy they’ll find interesting and relatable. When you keep your copy clear and concise and remember to communicate the unique benefits of your product, you’ll be on the right track to increase conversions.